I finish my analysis of BBX memberships analysing Malaysia, Singapore, India, Costa Rica, Taiwan, Hong Kong (BBX’s supposed home) and China. Excepting perhaps the last one, it’s bad, more bad, even more bad and worse still. As previously reported I have taken the actual members with actual balances, totaled them to get the balance/ratio of debts and credits; picked out any Bad Debt Reserve Fund and highlighted Bad Debts. In the process I have also identified missing transaction values. Enjoy then the analysis of the remaining membership and account balances from BBX International. I start with two BBX exchanges owned by an Asian business woman Dr Lee. 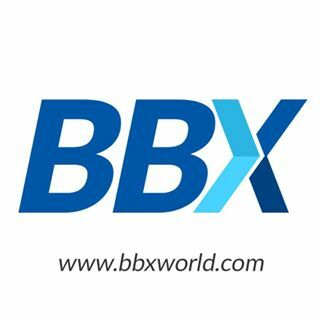 She has entered into a partnership arrangement with BBX – she uses the BBX platform and currency in her two barter businesses, well she used to at least. I suspect that she either has or will pull out from this arrangement. She’s unlikely to see her money again. I now come to the hardest Franchise for me to comment on, China. The reason for my difficulty is that I don’t speak Chinese and I don’t have any Chinese agents/investigators (yet), thus apart from the figures I can’t speak with authority outside of just looking at the figures and running off heresay. This causes me to pause and caution readers that while I can present figures, I cannot actually confirm BBX China’s performance. There are certainly a lot of dead members and some funny balances that look to me like promotional deals, not real trading, but the figures do indicate real trading. That there have been reports of misrepresentation and dishonesty up there which I have shared previously but there may be other things that could balance this assessment.